The front windscreen is printed open but the driver and front passenger side windows are not. You could get crafty and remove the resin from within the side window frames. Do be careful. It looks an easy thing to muck up. Nevertheless, you will need to remove the flash from the main windscreen as well as the flash from behind the front and rear bumpers. (Note the photo with the blackened areas.) The product, Kristol Clear, looks to be a good way to simulate the window glass. I chose to use some clear acetate. In lieu of removing the resin from with the side frames you might find that a little dab of clear gloss will suffice. 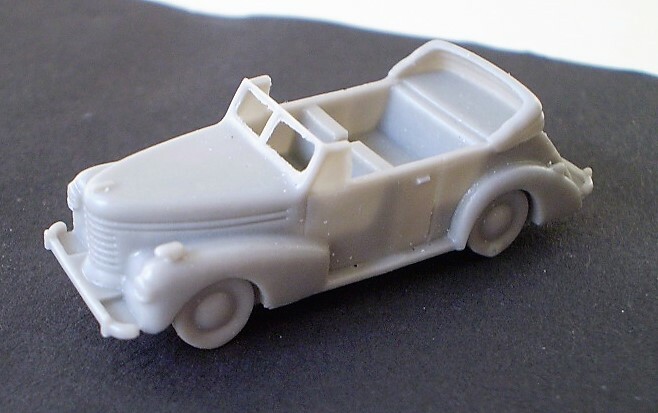 Brengun provides color suggestions (silver) for the bumpers, hub caps, and some suggestions for the body color with the assembly instructions. This is where you can really shine. While most of the these staff cars appeared in a some shade of overall Panzer gray, they also appeared in a three-tone camo scheme (Dark Yellow with brown and green accents) as well as a lovely two-tone scheme common to the era. 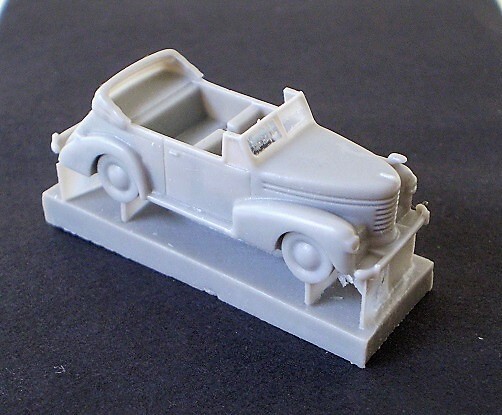 Those cars were generally confiscated directly from the factory early in WWII. Or, you can always go with basic black. As you can see, I went with a three-tone camo scheme, just because. The car was painted an over-all Desert Yellow with the green and brown splotches applied with artist pastels. While I definitely could have used additional time to complete this build there really isn't that much too it. You, as I, will probably spend more time on the paint job than on the actually assembly. 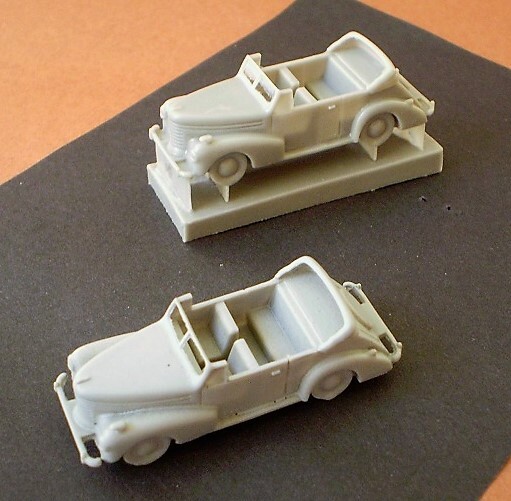 With two complete kits per package, these 1/144th scale German Staff Car Cabriolet from Brengun will make a nice addition to any appropriate diorama or vignette. 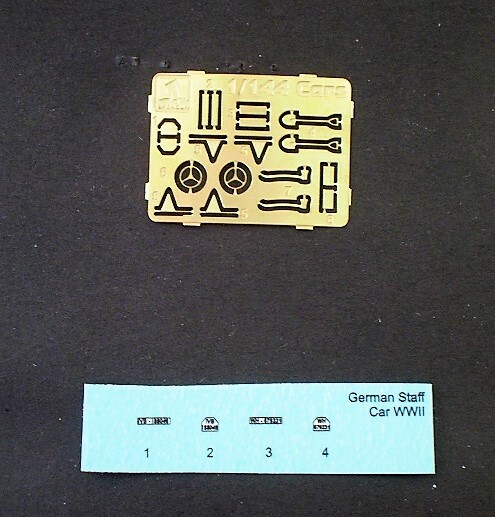 It should be noted that Brengun has a companion release of 1/144th scale American Staff Cars. Stay to to this channel, as that review should be appearing soon. My thanks to Brengun/Hauler and IPMS/USA for the review copy.